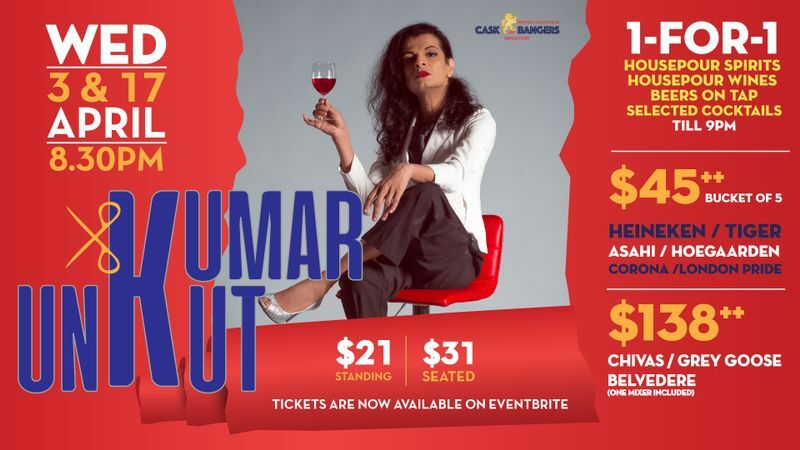 British gastrobar Cask and Bangers presents Kumar UnKut, their very own "The Kumar Show" with Singapore’s favourite Drag Queen. Jest with Kumar as he casts his comedic spell on you and brings you to your feet with laughter. From taboo topics to censored whispers, join us for two nights of fun on 3 and 17 April with his theatrics and politically correct humour.